The design is certainly a nod to the "fashionable" philosophy of their products: it's essentially a shoulder bag which attaches to your bike. Their Hook-On system (which includes a surprisingly strong Velcro strap) will work with most rear luggage racks and is a secure fit. 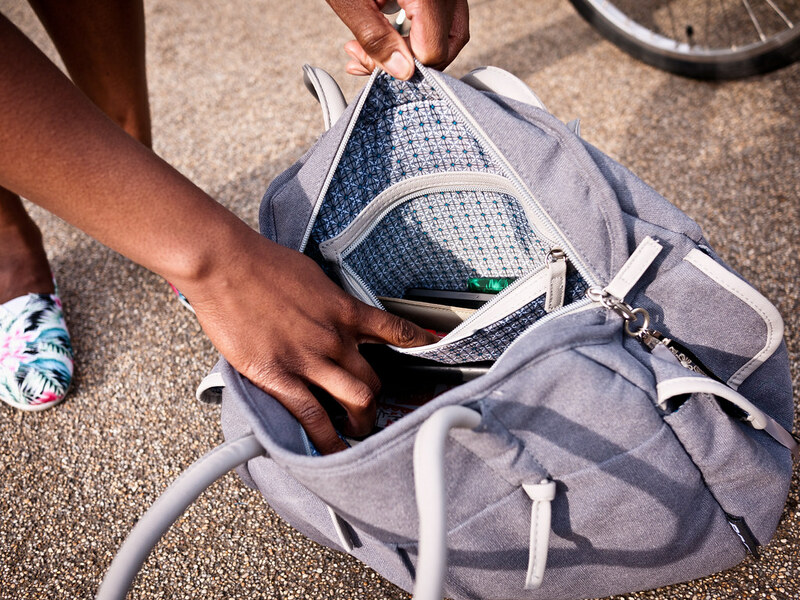 This is easily hidden away when off the bike, using the small zip-pocket compartment it's housed in. It's important to bear in mind the dimensions of the bag especially in regards to what you want to use it for. Measuring at 40 x 29 x 14 cm and with a 17 litre capacity, this isn't the kind of Bag that I would take on my grocery/shopping runs, but is fantastic as an over sized handbag. Carrying around my usual daily essentials (phone, purse, moleskine, pencil case, bike locks etc) wasn't an issue with the Basil at all. Additional carry space comes with the two outer pockets on each side of the bag and the inner-zip pocket. If like me you have a larger sized laptop (15") it's not going to accommodate it (which was a bit of a shame) but it's ideal for a Tablet device or Netbook in a protective sleeve / case. From an aesthetic point of view, the Basil Elements bag is rather neat. The water repellent recycled sailcloth with reflective detailing looks good, and the inner lining of the bag is rather nifty too. Artificial leather is used for the handles and the zip-pulls, which is quite long wearing. 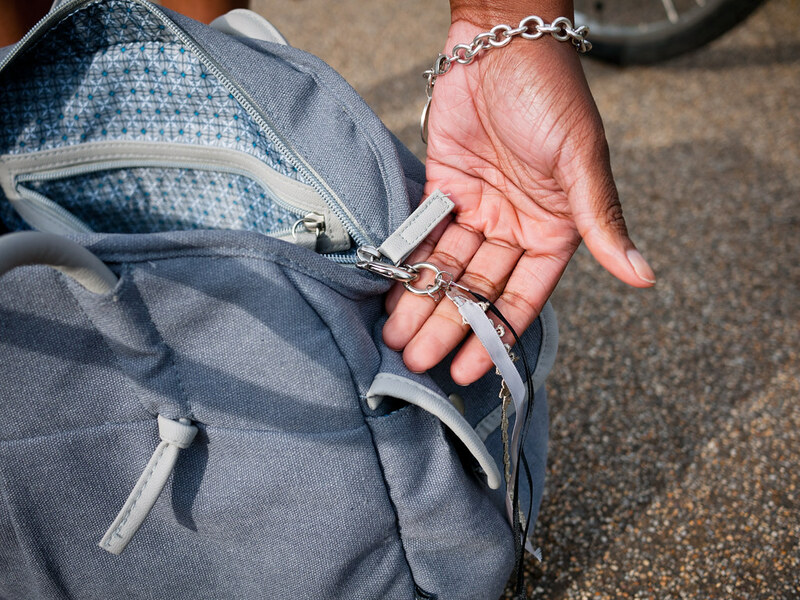 It's not essential to the bag at all as it just attaches to the main zipper as an additional accessory, but it was a shame when it started to come away. 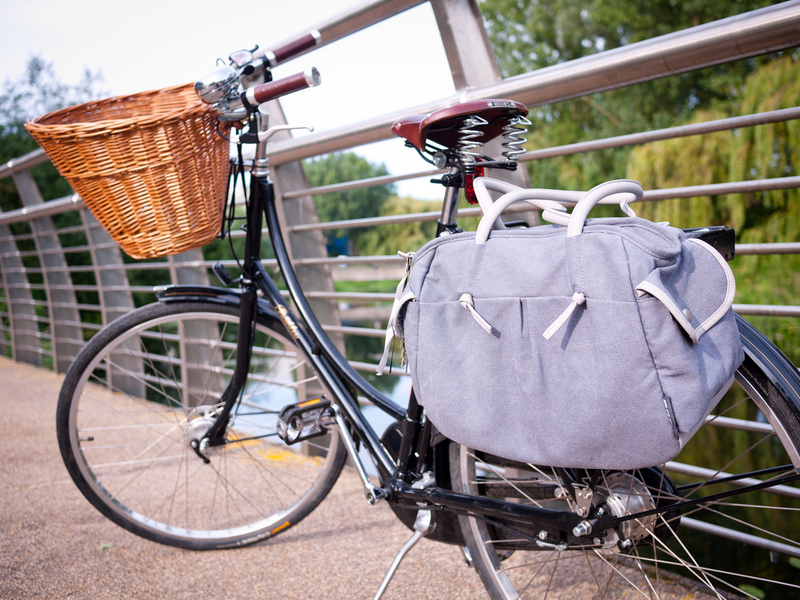 Basil have put a twist on the traditional pannier with this one, with it really being a shoulder bag that fits on a bike. 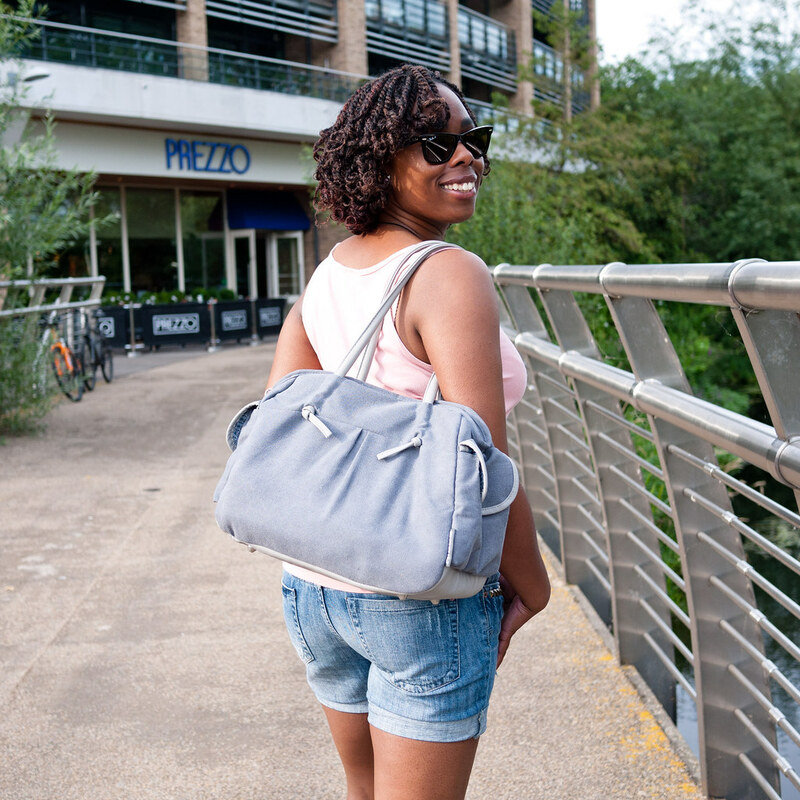 If you are after a bag with a high volume capacity and lots of space for shopping, you will need to go for something bigger than this.... however, if you're in the market for a stylish everyday handbag for casual use (from going to the office, heading to college etc) this could be right up your path. Details on stockists of the Basil Elements Shoulder Bag can be found on their website. *This bag was kindly gifted to VCG by Basil for a review. 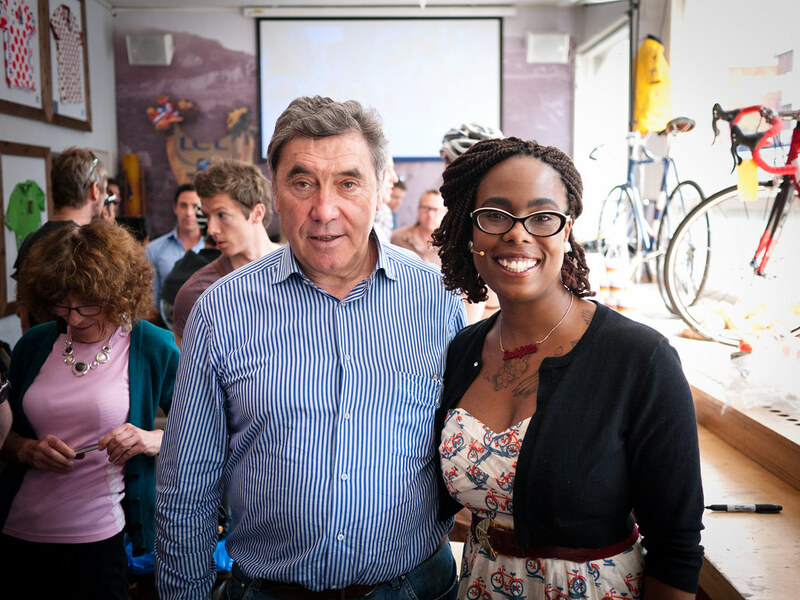 There has been more work with The Cycle Show on ITV4: it has been an absolute blast working with the team on there for the past few weeks and meeting a wide variety of cyclists along the way. 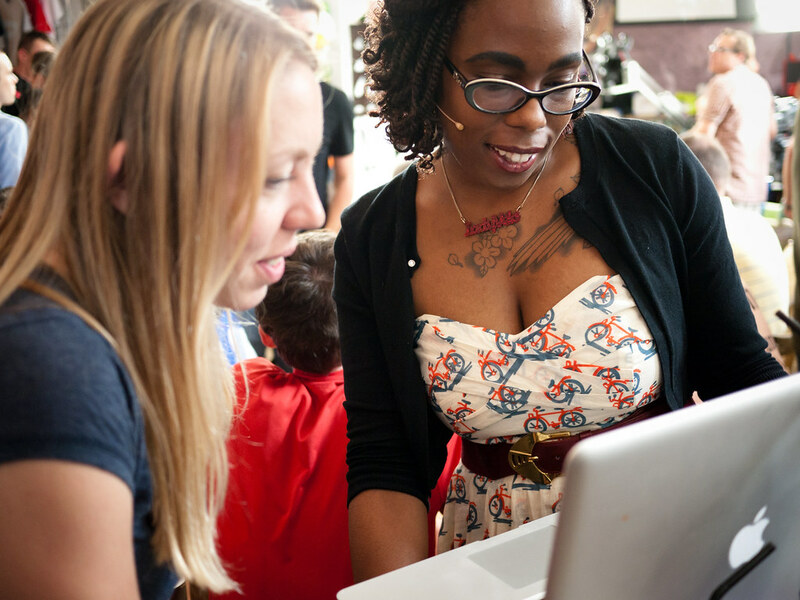 Recently recording away from LMNH for a commuter piece was a cycling-buzz. 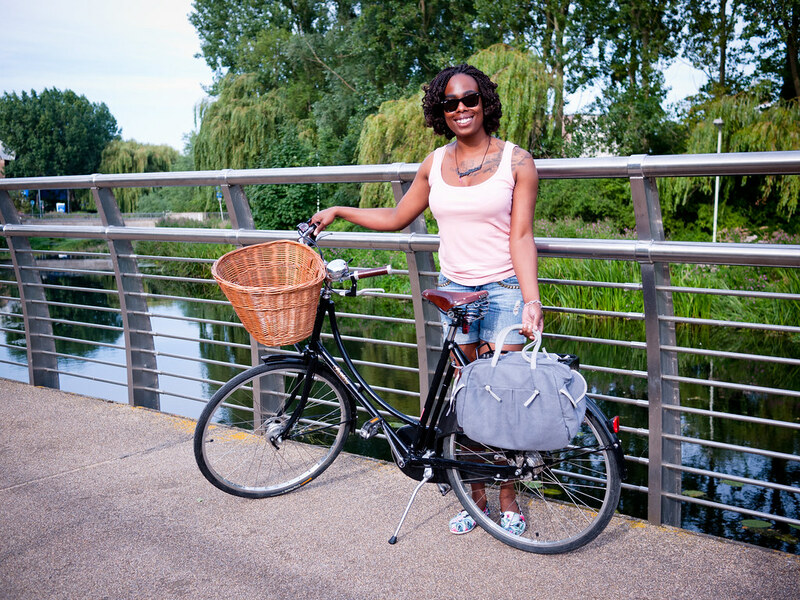 Frankie was hooked up with a number of Go-Pro cams & mics as I cycled along the Regents Canal from Lock 7 in Hackney to Soho. 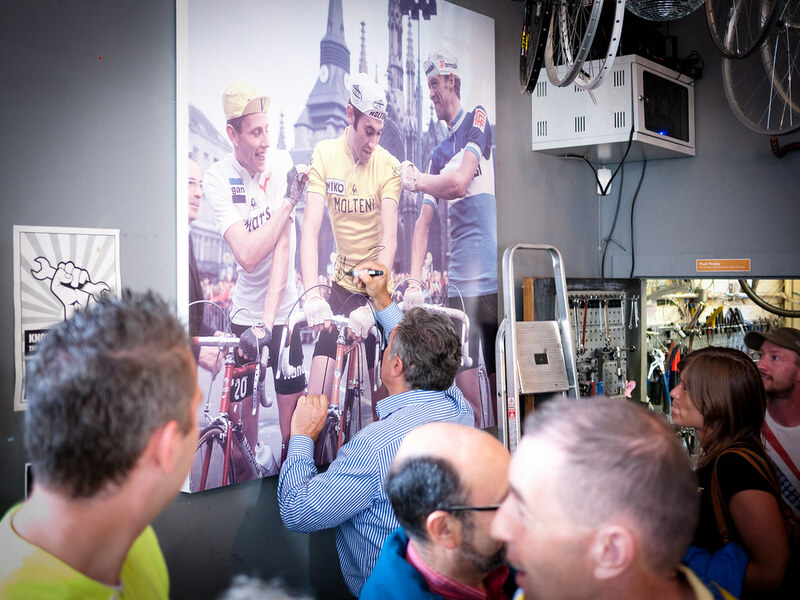 Meeting up with multi-talented sports journalist, presenter and a man who knows more than a thing or two about cycling - Ned Boulting - was bloody fantastic to put it mildly! 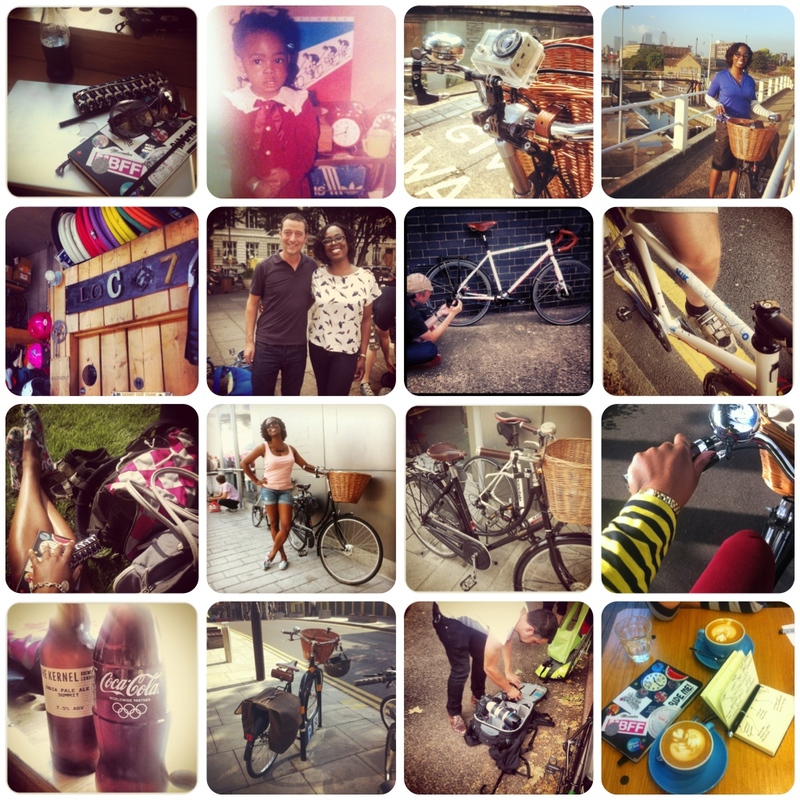 The Boy has also been busy with bike business, doing a photo-shoot for Milk Bikes! After meeting at the Vulpine Summer Fete earlier this year, Ian was asked to do some shots for them. Accompanying him for the day in Chelmsford where MB is based, it was a pleasure to watch him capturing that particular Milk Bike in action. I'm kicking myself for not having a ride on the bike being shot for the day, but I thought it best not to have a go and immediately scuff it... ha. Speaking of Vulpine... this month also saw me and the Pashley having some quality-fun bezzing about with Nick Hussey & Paul Calver & some "Fit Friends" for another photo-shoot. After a LOT of interest on line (and plenty of people asking me about it), the Women's Specific line of Vulpine clothing has arrived... HUZZAH! 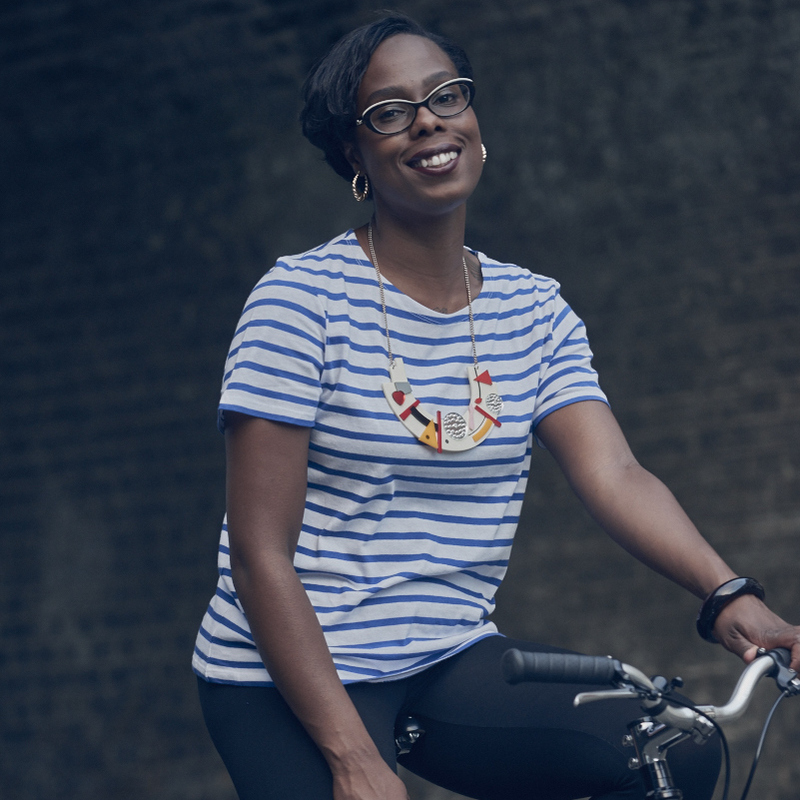 The Women's Merino Button Jersey is something not to be ignored & is wonderful to cycle in... I'm in love. A lot more is coming up on Vélo-City-Girl, including some new Pannier / Shoulder Bag reviews, and a rather special bike review indeed... look out for all that and more. Me and Frankie will be back with updates... soon. 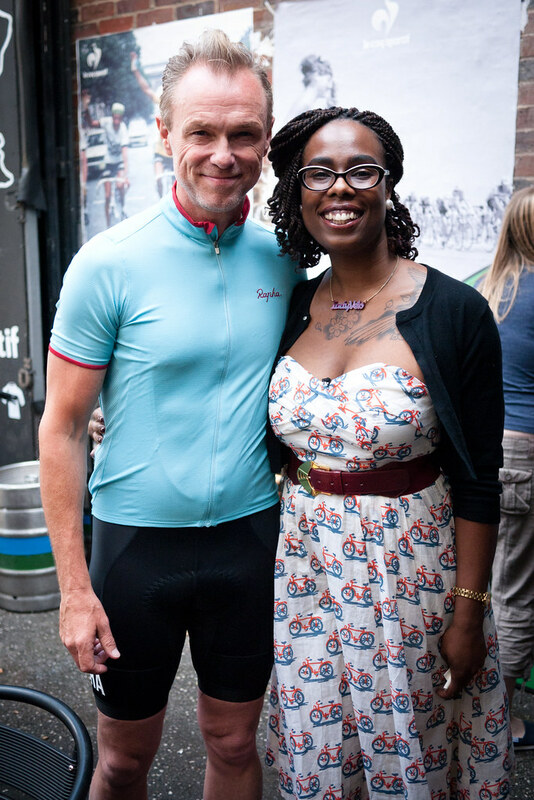 It's been an exciting couple of weeks for Vélo-City-Girl. 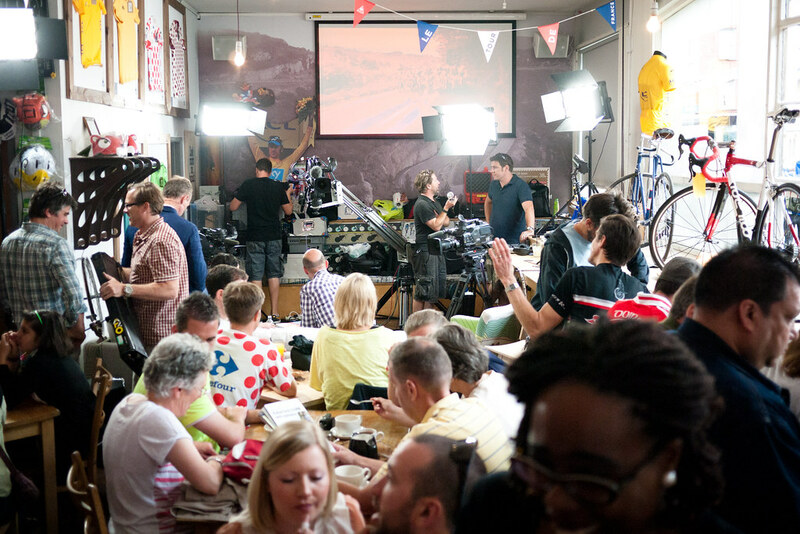 After doing a quick photo-shoot and interview last week for the Evening Standard, on Sunday I filmed at Look Mum No Hands for The Cycle Show on ITV4! I was their guest presenter for episode two, interviewing the Near Naked Man cycling group & chatting on the sofa. I thrilled to be asked to be a part of it - especially as it's a brand new show dedicated to something so close to my heart. Riding over to LMNH early on Sunday morning with The Boy, it would be an understatement to say I was filled with nervous excitement about the day ahead, especially as I'd never done anything like that before and knowing who else was on the show. The guests for the day were pretty spectacular. 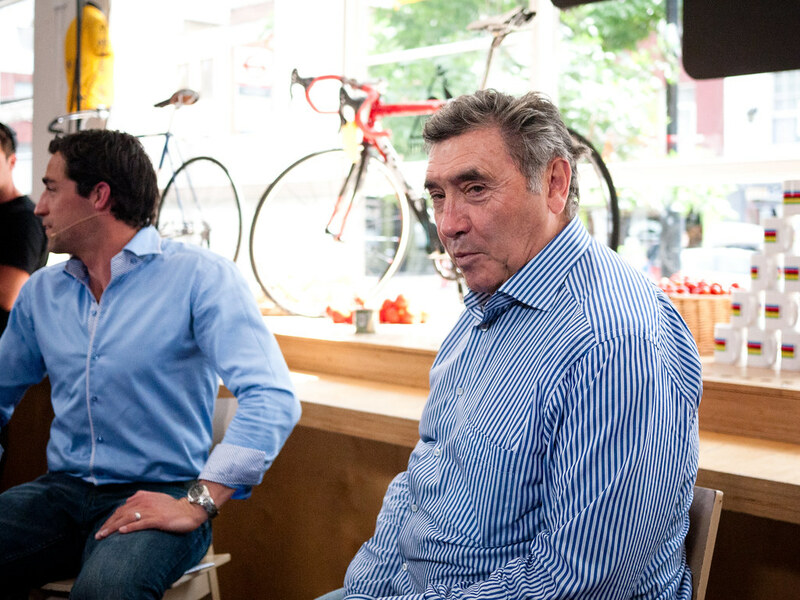 First up the greatest cyclist of the 20th century and an utter cycling legend - EDDY MERCKX! Without a doubt, this was one of the most memorable experiences I've ever had. 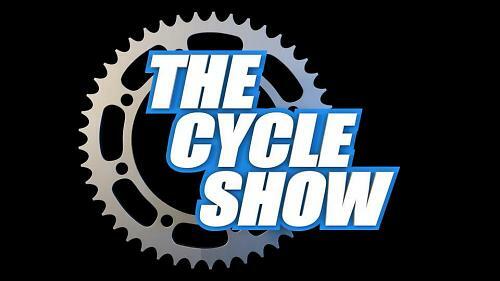 The brilliant thing about The Cycle Show is that it doesn't just focus on one single element of cycling: there are so many different facets to it... and The Cycle Show is on a mission to represent us all.